Moving is always a stressful event, no matter how many times you have done it before. From making numerous phone calls and confirming appointments to packing and organizing your stuff for a move, the list of to-do things may seem as if it will never end. The task becomes even more challenging if you need to move fine art, antiques, and other valuables. This is where white glove relocation and moving services come into play. The good news is that Fine Art Shippers is not only a reliable art logistics company but also a professional white glove furniture mover in NYC, making us a perfect choice for all those who want the experience of a stress-free and flawless moving process. At Fine Art Shippers, we offer the highest level of white glove moving service that includes everything from picking up and packing your valuables to installing your art collection and assembling your furniture inside your new home. 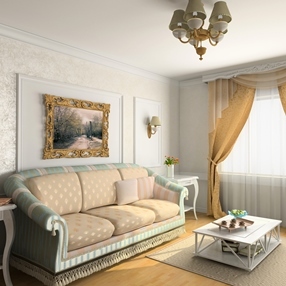 As a professional white glove furniture mover in NYC, our company has decades of experience handling valuables, collectibles, and luxury furniture in some of the most expensive homes in Manhattan, Long Island, Connecticut, and more. Moreover, we work with top real estates and move high-end art and antiques for wealthy and successful individuals all over the United States. Along with that, our white glove moving services are very competitively priced, and you can easily check this out by requesting a free shipping quote we offer online. Why choose white glove moving services? While to hire a professional white glove furniture mover in NYC may be more expensive as compared to services offered by regular movers, it is still the right choice when it comes to moving designer furniture, paintings, sculptures, and other valuable and unique items. The fact is that a team of white glove moving specialists knows exactly how to pack, crate, and move your precious possessions so that every single piece arrives at the destination intact. Besides, white glove furniture moving services also include loading, unloading, handling any assembly, and installing large and heavy items that require special handling. At Fine Art Shippers, we offer a variety of door-to-door moving services of the highest quality. So if you are looking for a reliable white glove furniture mover in NYC, or you need to relocate a collection of rare paintings, you have come to the right place! We will do any job for you quickly, efficiently, and at a reasonable price!